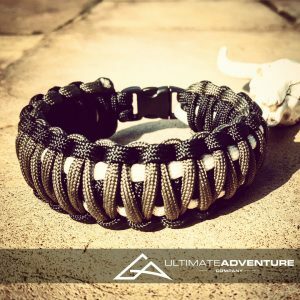 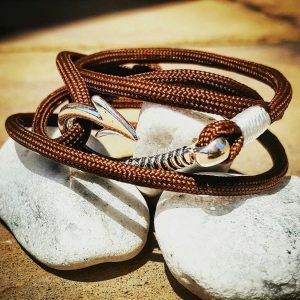 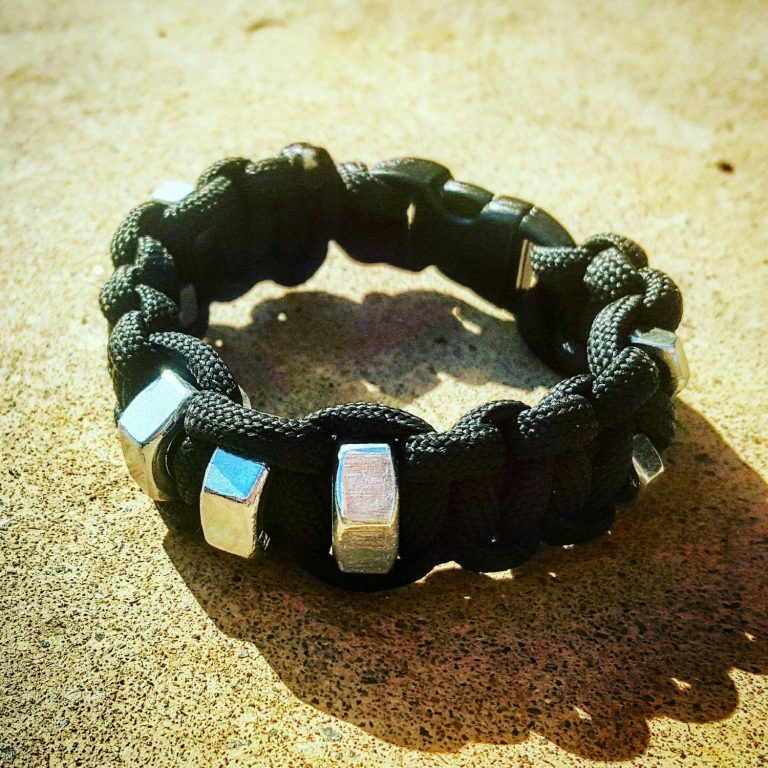 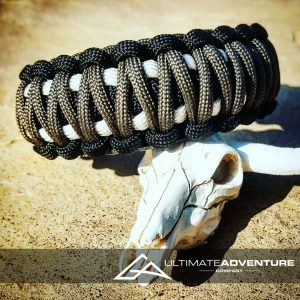 Steampunk Paracord Bracelet with Stainless Steel Nut Design. 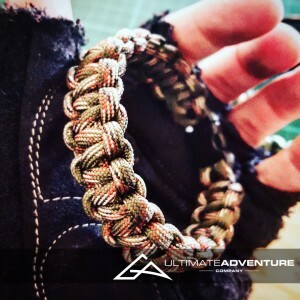 This steampunk paracord bracelet is the perfect steampunk and goth fashion accessory! 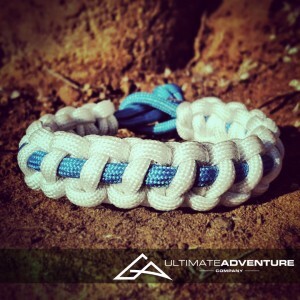 It also makes for a perfect gift for your mom, sister, daughter or son or even as an awesome gift with a difference! 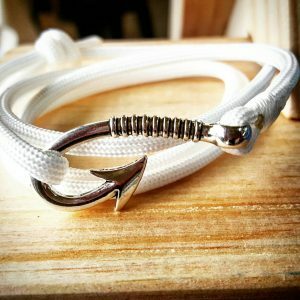 SKU: 385556952. 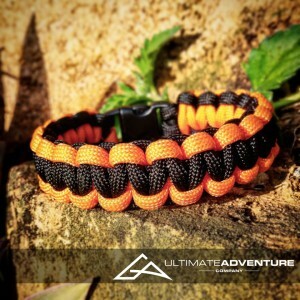 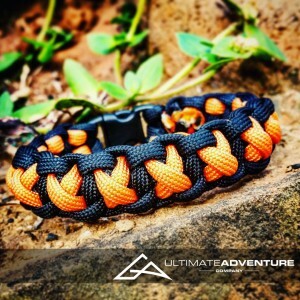 Categories: Miscellaneous Paracord Bracelets, Steampunk Paracord Bracelets. 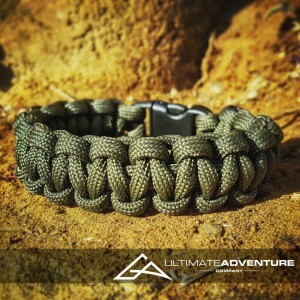 Tags: accessories, edc, edc gear, fathers day, gifts for her, goth, groomsman gifts, ladies bracelet, paracord bracelet, steampunk, steampunk fashion, survival bracelet, survival gear. 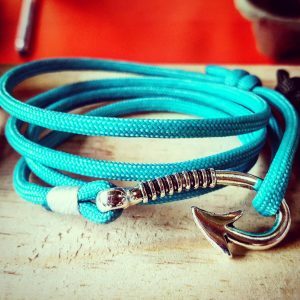 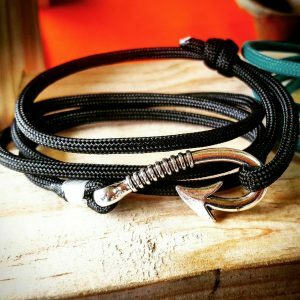 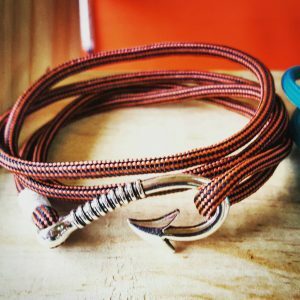 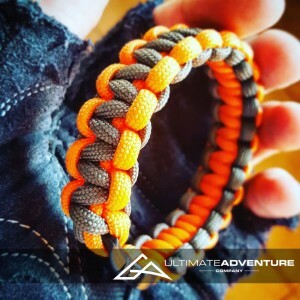 It’s a perfect addition to any outdoor persons attire and can even be used in emergency situations when a long piece of strong cord is required.